This hands-on guide will help you play a video that has been uploaded to MediaSpace inside a PowerPoint presentation.MediaSpace is a web storage area that can be accessed through D2L.Once you have uploaded your video, MediaSpace generates a small piece of text, also known as embed code.You can copy this embed code and use it to display a video in PowerPoint. ·You must have an account setup in MediaSpace. ·You must have a video already uploaded to MediaSpace. 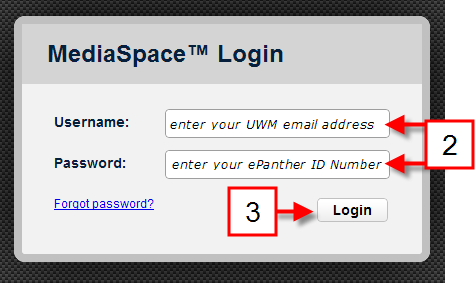 1.Please log in to D2L (http://d2l.uwm.edu) using your ePanther ID and password.Go to the D2L course site for your class.In the upper navigation bar, click on the [MediaSpace] tab. 2.Enter your UWM ePanther ID (your UWM email address without the @uwm.edu) for the [Username] and the [Password]. Note: if you wish to change your password, contact Amy Mangrich (amangric@uwm.edu). 4.Once logged in click [My Media]. 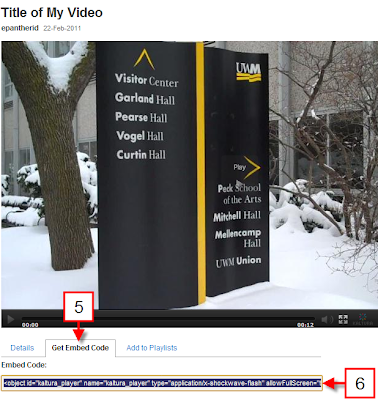 5.You will see your video listed in your [Videos] menu.You will also see a large image of your video below your [Videos] menu.Click on the [Get Embed Code] tab located beneath the large video preview. 6.Click inside the [Embed Code:] box.The text (code) listed there will be highlighted.Copy the text so that it can be pasted into PowerPoint. a.Go to the [Office Button] and click on the [PowerPoint Options] button. b.In the [Popular] section, check the [Show Developer Tab in the Ribbon] box and click [OK]. 8.In the [Controls] section click on [More Controls] button. 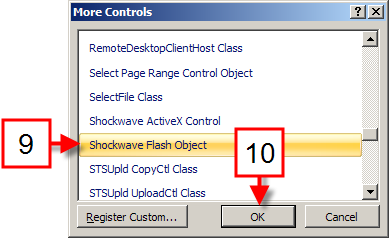 9.In the [More Controls] window, select [Shockwave Flash Object]. 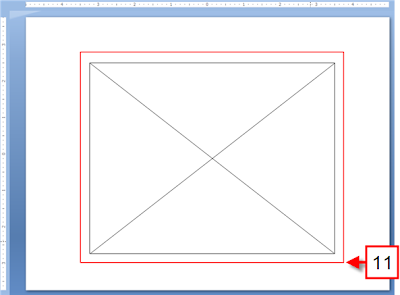 11.On the PowerPoint slide, draw a box to the size you would like your video to be displayed. 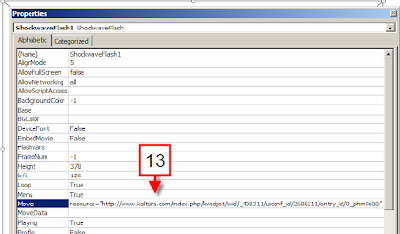 12.With the box selected, in the [Controls] section of the [Developer] tab, click on [Properties]. 13.In the box next to [Movie], paste the embed code selected in step 5. 14.DELETE all the code EXCEPT the URL that follows [resources=].The URL will begin with http://www.kaltura.com/index.php and end with a series of letters and numbers. 15.Close Properties window (by clicking the X in the top right corner). (Note you may preview the video clip in [Slide Show] view in your PowerPoint.